US regulators have approved net neutrality rules banning broadband providers from charging to put online services in a two speed internet, giving higher paying customers an internet fast lane’. The new rules require the companies to act in the "public interest" and not intentionally block or slow web traffic. The Federal Communications Commission (FCC) passed the much-debated plan on Thursday. The telecoms industry promptly vowed to sue over the regulation, which was opposed by conservatives and backed by President Barack Obama. The five FCC members voted along party lines: the two Republican commissioners no and the three Democrats yes. Beforehand, FCC chairman Tom Wheeler said the plan would foster a free and open internet. "The internet is the ultimate tool for free expression," he said ahead of the vote. "The internet is too important to allow broadband providers to be making the rules." The result means tougher rules for internet service providers such as Comcast, Verizon, AT&T and T-Mobile, who lobbied against the regulation. A coalition of 16,000 websites, including Tumblr, Mozilla and Yelp, had endorsed net neutrality. Consumer advocates say the rule will prevent "pay-to-play" deals that could stifle the growth of internet startups. They also say it will prevent internet providers from restricting the use of high-bandwidth sites and services such as Netflix. 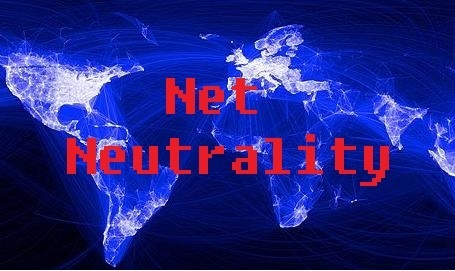 Without net neutrality, websites would be able to strike deals with service providers to stream their data more quickly. But critics say the new rule will deprive broadband providers of new revenue, hampering investment and ultimately increasing consumer charges.